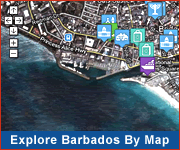 Barbados is easily accessible from the US, UK, Canada, Europe and South America. Below are the estimated flying times from major cities and countries. A number of international airlines provide scheduled and charter services between Barbados and other countries. 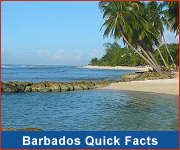 In addition there are several smaller airlines which link Barbados with the Caribbean and South America. Find the best flight options for your trip using Google's Flight Search. Then book direct with the airline or a trusted travel partner.